The holiday season is here, and I wanted to give you all the opportunity to win a little something for yourself. After all, it is the season of giving! 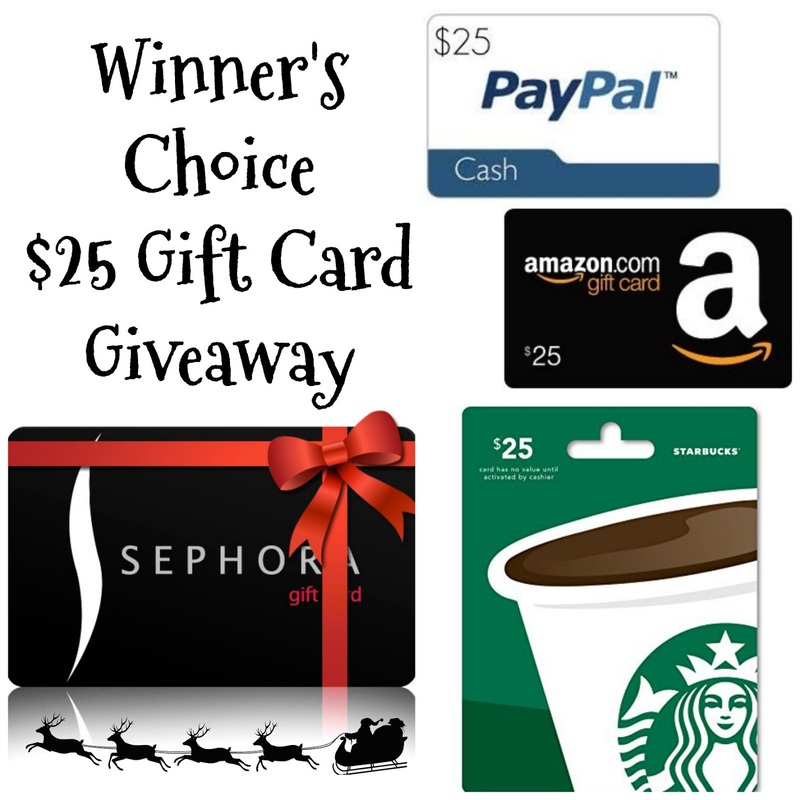 One winner will have the choice of one $25 digital gift card from Amazon, Sephora, Starbucks or PayPal cash. Enter below, and good luck! This giveaway is open to everyone worldwide since gift card will be delivered digitally, and ends on December 7, 2018. Must follow rules in Rafflecopter. One winner will be chosen randomly. Mom Files is not responsible for any lost or stolen prizes. Good luck! I would choose the Paypal is I won. I would choose the amazon gift card. Thank you for the opportunity to win. I would choose the Amazon gift card. Thank you! I would choose Amazon or Paypal. A hard choice - I would go with Amazon. I would choose the Amazon gift card to give to my daughter. She loves shopping on Amazon. I would love the Pay Pal! I would choose the Amazon. I would choose the Starbuck GC. I would choose paypal if I won!! I would probably pick the Amazon, but might go for the Starbucks. If I won, I would choose an Amazon gift card. I would choose Paypal if I'm lucky enough to win! Thanks for the giveaway! i'd like the amazon please! I would choose the Amazon card. I would pick Sephora or Amazon! If I won, I would choose the Amazon Gift Card. I would probably choose Amazon, because I buy a lot of random stuff from them. I would choose the Starbucks gift card.